Windsor Hotel. 4* boutique hotel in walking distance from the main station. You can book it here. Vecchia Milan. 3* hotel not far from the Duomo. You can book it here. UNA has various hotels in Milan, e.g. the Cusani, a comfortable business hotel. You can book it here. Hotel Ferton. Simple and clean 3* hotel close to the main station. You can book it here. Hotel Mythos. Convenient 3* hotel located close to the central station. You can book it here. Mamma Rosa. Restaurant close to the central station with tasty lunch and dinner menus on two floors. A tank of lobsters welcomes you. Al Mercato. Tiny restaurant that is split in two: half burger bar and half restaurant, serving a selection of tasty meat, fish and vegetarian dishes – and burgers. Trattoria Trombetta. Elegant restaurant in front of a little church, where you can enjoy Italian fine dining. Resentin. Nice restaurant close to the Castello Sforzesco. Bagutta. Sadly closed after 90 years. C‘era una volta. Nice trattoria with lunch menus in the Brera district. Rigolo. Traditional restaurant located in the Brera district. La Prosciutteria. Craving for Italian ham? Here it will be served on a large wooden board to share. Morna. Cute bar and cafe on Via Tortona. Milan‘s top sight: Il Duomo di Milano, the grand cathedral. If you have the chance, visit the famous painting by Leonardo Da Vinci, the Last Supper, in Santa Maria delle Grazie. Every spring the fair for interior design takes place: Salone del Mobile. At the same time there is the Fuori Salone – Milano Design Week – with lots of art spaces and events in the city‘s streets and palazzi. Most popular are the areas of Brera, Lambrate, Tortona and Ventura. The Triennale Design and Art Museum is located in the impressive Palazzo dell‘Arte surrounded by Sempione park. It also hosts the Milan triennial exhibitions. Take a walk in the famous Castello Sforzesco, Milan‘s main attraction after the Duomo. Don't miss the Fondazione Prada. It is an impressive building ensemble by architects OMA / Rem Kolhaas and features art exhibitions. 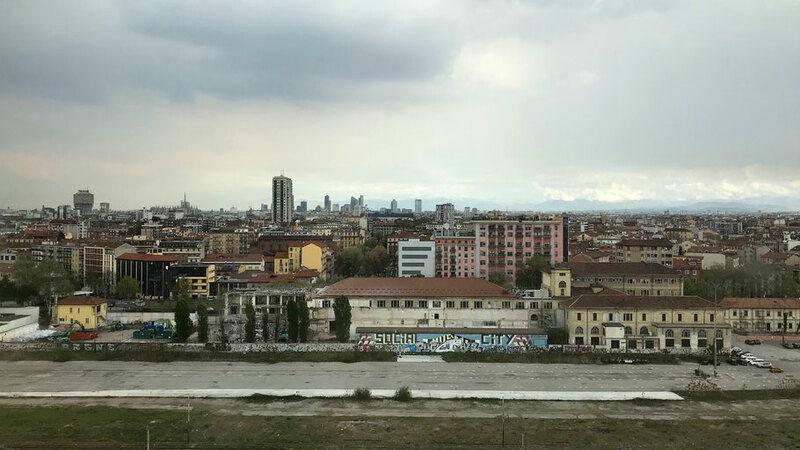 The newer building offers a great view over Milan‘s skyline. The museum‘s Bar Luce has a fancy Wes Anderson film interior. Get a multi-ticket for the public transport to avoid queuing during rush hours and event seasons. They can also be bought here, just look at the ATM signs.